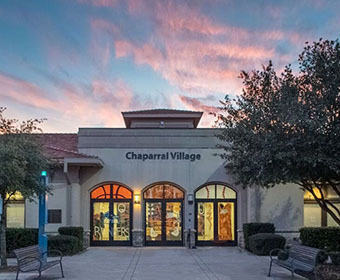 (Jan. 28, 2019) – To better serve its growing population and better prepare students for success, UTSA Housing and Residence Life is transitioning up to 48 four-bedroom units in Chaparral Village to double occupancy rooms as a way to increase the number of students that can be housed on campus at an affordable rate. This expansion, scheduled to begin with the Fall 2019 semester, could add up to 192 beds to on-campus housing at a price that is 40 percent less than a traditional four-bedroom single occupancy rate. Current and new students will have the ability to opt into this new housing option when they complete the 2019-2020 academic year application, which is available now. Housing contracts for the next academic year open on January 30, which is the first day students can complete the 2019-2020 application for UTSA housing. The priority deadline to indicate interest in the double occupancy option through the housing application is March 15. The complete housing application/room selection timeline is listed below. Tours of the housing complexes and showrooms are available Monday through Friday from 9:30 a.m. to 4:30 p.m. and Saturdays from noon to 3 p.m., when the campus is open. Students can schedule a tour or have questions answered about a double occupancy room or the housing application process by calling Housing and Residence Life at 210-458-6834 or emailing studenthousing@utsa.edu. *HRL reserves the right to take some rooms/apartments offline or reassign them for the next year as needed. Learn more about UTSA Housing and Residence Life. Learn more about new housing initiatives at UTSA.